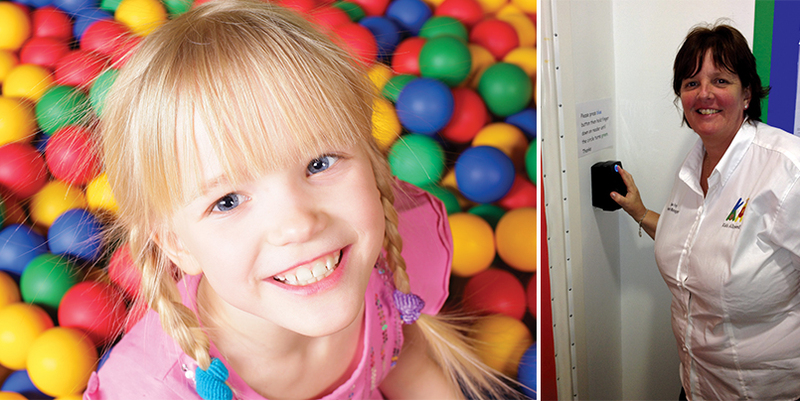 Based in Manchester the Kids Allowed Child Care Centre provides specialist day care services to hundreds of children. Taking child care to a new level, they pride themselves in offering the very best services by listening to parents. This includes making sure the kids are protected to the highest standard. Initially the Kids Allowed Child Care Centre used fingerprint readers because it provided parents and families with peace of mind. With no codes or fobs the parents are assured that no one besides themselves can collect their children from the centre. Kids Allowed have rigorously followed these instructions, but having installed a leading biometric competitor they found major problems with the system they initially invested in. This is something that ACC had also experienced before. Therefore having researched a biometric solution to the problems faced at Kids Allowed ACC recommended the ievo ultimate reader integrated with Paxton’s market leading electronic access control system, Net2, but conducted a test run of the system before installation just to make sure that staff and parents were able to use it without complaint. ievo ultimate came back with a 100% success rate amongst parents and staff at Kids Allowed. 1. With the original system, parents and staff with creams or oils on their skin ere continuously denied access because the reader could not penetrate the substances and was unable to read the print. The ievo ultimate reader uses a multispectral imaging sensor which solves this exact problem. ievo ultimate retains its functionality with levels of dirt, oil, grease, cream or cosmetics on the skin. In addition, ievo ultimate is able to read through some types of latex gloves. 2. The Kids Allowed previous biometric system was complicated to use, so training staff and parents became a difficult task. ievo ultimate has been designed to use visual and auditory sensors which inform the user if they have been granted or restricted access. This user friendliness saved both the staff and parents a lot of time. 3. Kids Allowed were registering approximately 500 users. Their previous biometric system restricted access to below this number. Alternatively the ievo ultimate reader is able to register 8,000 prints. This offers staff major flexibility options as they will not have to worry about limiting parents access on site.